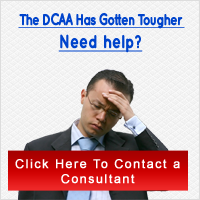 If you are dealing with government contracts or hope to become a government contractor, you know that your accounting system must be DCAA compliant.Â Selecting such software is difficult enough without having to worry about all the other aspects DCAA will be considering when reviewing your accounting system.Â Yet, you must!Â There a quite a few â€œsystemsâ€ the DCAA will be reviewing for compliance and you need to be ready. To understand how in-depth the DCAA can get, you must first understand that the objective of government contracts is to ensure value and usability to the end user.Â This is would be citizens; thus, the government takes a complete and holistic view of contracts and those servicing the contracts.Â Remember, the DCAA does not want to answer to the public if things go wrong so they have an eagle eye on your ability to be successful as a contractor. Beyond looking at your ability to be DCAA compliant via software, the DCAA wants to know that your company has economic stability.Â The government as a whole and the DCAA are aware that becoming a contractor can be economically taxing on a company, so a companyâ€™s ability to prove financial stability is critical when being evaluated by the DCAA.Â Imagine the media pouncing on the government for selecting a contractor that failed to successfully deliver on their contract due to financial instability! Next, the DCAA will be checking that your company has comprehensive policies and procedures in place.Â The policies and procedures must address how the company and employees will deal with funds and duties.Â Policies and procedures need to be accompanied with well-managed training programs that inform employees what is expected of them and how to handle won contracts.Â The DCAA realizes that without policies, procedures, or training programs that even if a company is well financed my fail.Â Thus, financial stability will also fail to be enough. Additionally, and perhaps more important than software selection, policies and procedures, and training programs, is a company that has effective monitoring and oversight and internal controls.Â Effective monitoring and oversight ensures that employees comply and adhere to policies and procedures set out by the company as well as DCAA.Â Policy and procedure compliance is best ensured by rigid internal controls.Â Internal controls are the key to being a successful contractor.Â If you think that your company can survive a DCAA audit, let alone a government contract without thoroughly and rigidly designed internal controls you are seriously mistaken. Properly placed internal controls in which there are comprehensive training programs that are collaborated with comprehensive policies and procedures will have your company in the perfect condition for a contract.Â DCAA will be impressed that your company have put into place all the aspects needed to be successful during the life of the government contract.Â Remember, be prepared and performing well leads to government contract number two!